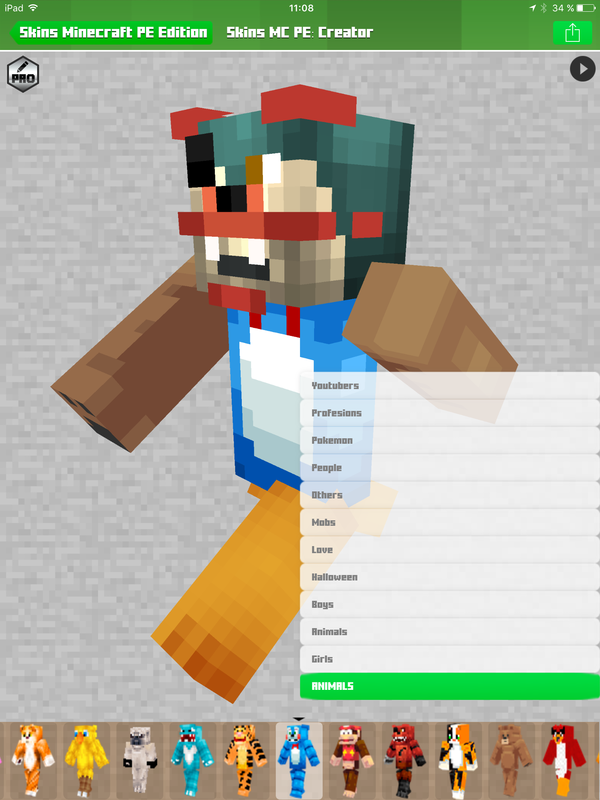 Skin Skins for Minecraft PE & PC, the groundbreaking app to use your skin in Minecraft: Pocket Edition. 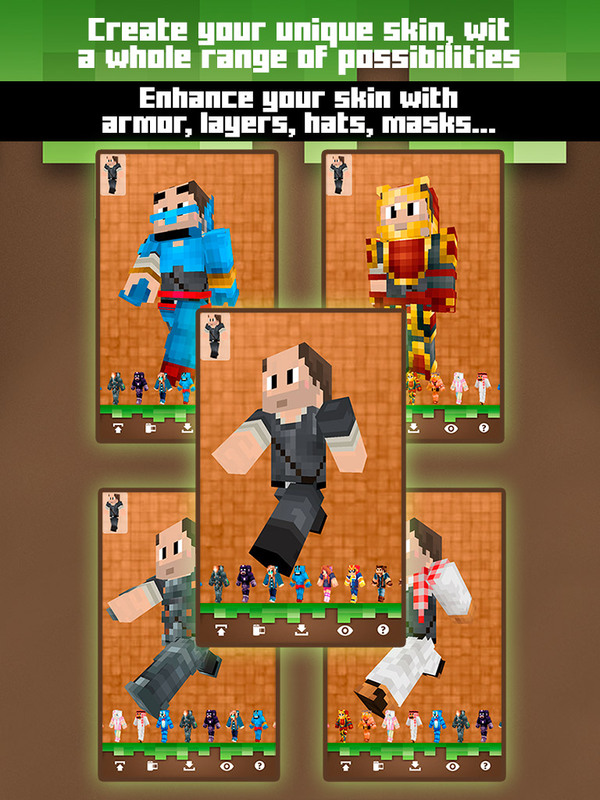 Skins Minecraft PE Edition, the groundbreaking app to use your skin in Minecraft: Pocket Edition and PC. 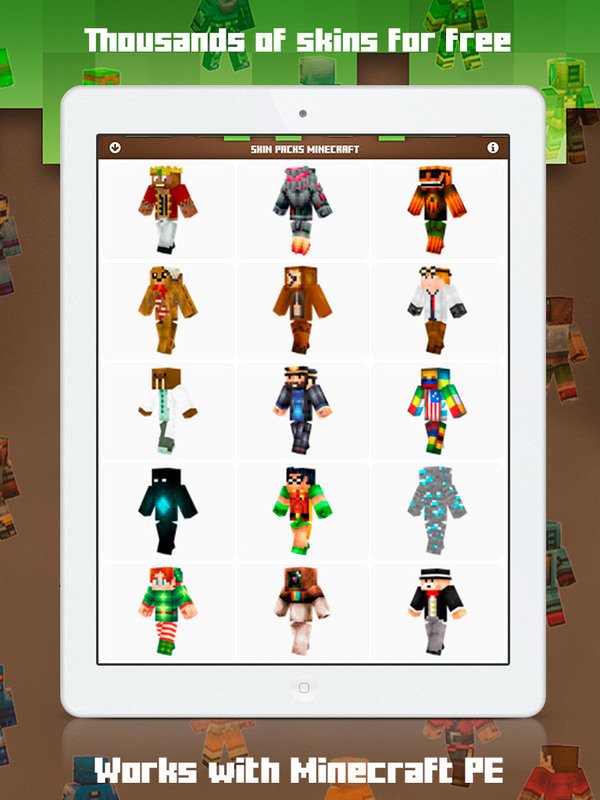 With the Skins Minecraft PE Edition you can download hundreds of skins for use on your Minecraft character. Don’t wait any longer … download it now for free! 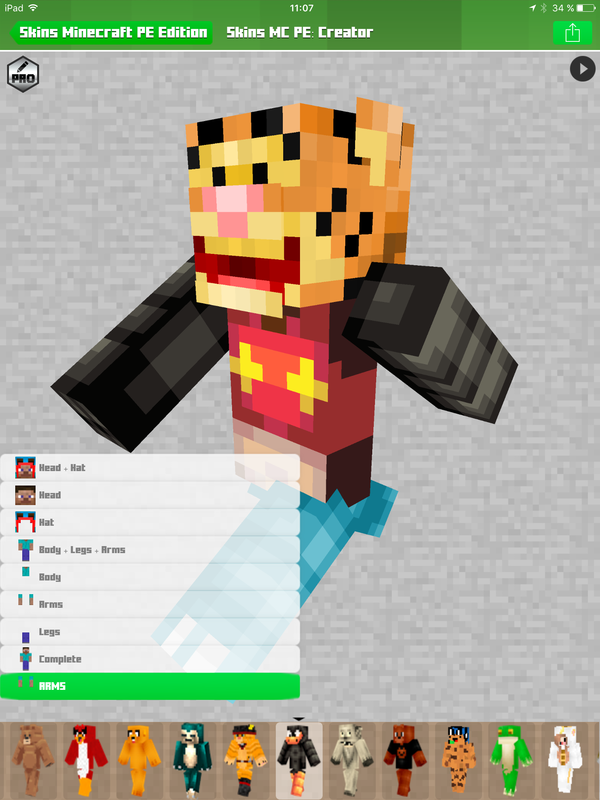 You’ll be able to apply all the skins you download to your version of Minecraft.